PLM Law provides specialized legal services in personal injury and disability, employment and labour law, human rights and alternative dispute resolution in Prince Edward Island and across Canada. We bring a breadth of professional knowledge and over twenty-five years of experience to every case. Being wrapped up in legal battles and insurance claims can be stressful. That’s why we are committed to justice in working to achieve the compensation you deserve quickly and efficiently. With expertise in serious brain injury, PLM Law ensures that your rights will be protected from the moment you become a client. Whether you are dealing with your insurance company or pursuing legal action inside the courtroom, PLM Law is there for you every step of the way. We are committed to justice when getting you the compensation that you deserve. With additional experience in employment and labour law, human rights, alternative dispute resolution and other specialized civil and commercial litigation, we can assist you with a variety of legal needs, inside the courtroom or through a mediated process. As a collaborator and innovator, PLM Law can offer a variety of solutions to your legal problem. B.A., LL.B, LL.M (ADR), C. Med., C. Arb. Pamela Large Moran has extensive training and professional experience in the areas of litigation and alternative dispute resolution. Prior to establishing PLM Law, Pamela practiced as a civil and commercial litigator in Toronto for ten years before returning to her native Atlantic Canada in early 2000. After settling one of Canada’s largest personal injury claims in 2005, Pamela has been an advocate for auto-insurance reform and fairness for accident victims. She also does work in class-action claims, including institutional abuse cases and has been an adjudicator with the Indian Residential Schools Assessment Process, conducting hearings of abuse claims across the country, since 2011. In addition to obtaining her Law Degree from the Dalhousie University Schulich School of Law in 1989, she has also earned her Masters in Law in Alternative Dispute Resolution (LL.M. ADR) from Osgoode Hall Law School. As well, she has obtained her Chartered Mediator ( C. Med) and Chartered Arbitrator (C. Arb.) designations from the ADR Institute of Canada, the national credentialing body for mediators and arbitrators across Canada. Further. she has most recently obtained a certificate in mediation from Harvard Law School in 2013. Pamela has been heavily involved in both ADR Atlantic and the ADR Institute of Canada (ADRIC), winning the National Lionel J. McGowan Award of Excellence in Dispute Resolution in 2012. Most recently Pamela was the 2017 recipient of the Bertha Wilson Honour Society Award- Schulich School of Law, Dalhousie University- “extraordinary alumni/geographic reach and contributions to law and society.” She is also a member in good standing of the Law Society of Upper Canada (Ontario) and the Law Society of PEI. Pamela is a frequent presenter at legal and ADR conferences, as well as various professional Continuing Legal Education (CLE) conferences. She makes regular appearances in the popular press through numerous papers, interviews and articles, alongside writing for publications like The Lawyers Weekly, and ADR Perspectives, the ADRIC quarterly national publication. Jeremy is an associate with PLM Law, having joined the firm as an articling student in 2016. He was called to the Bar in Prince Edward Island in October 2017. He practices in all areas within PLM Law, including litigation and administrative law, personal injury, disability, human rights and Alternative Dispute Resolution (ADR). Jeremy obtained a Bachelor of Business Administration from the University of Prince Edward Island in 2012 and subsequently attended Bond University Law School in Australia graduating in 2016 with his Juris Doctor (JD) Law and his Masters in Law (Alternative Dispute Resolution specialization). He also obtained his National Mediator Accreditation (NMAS) in 2016. During his four years at Bond University Law School, Jeremy gained valuable experience in the Bond Commercial Law Clinic where he served as clinic administrator throughout 2015/2016. He further worked as a judge’s assistant with the Queensland Civil and Administrative Commercial Tribunal (QCAT) and in 2015 was a finalist in the Bond University Law School Salary Arbitration Competition, winning best overall team and best overall oralist. Additionally, in 2015 Jeremy participated as a teacher’s aide in the Abergowrie Youth Social Justice Program, traveling to remote parts of Australia/Indigenous regions speaking to youth ages 13-21. 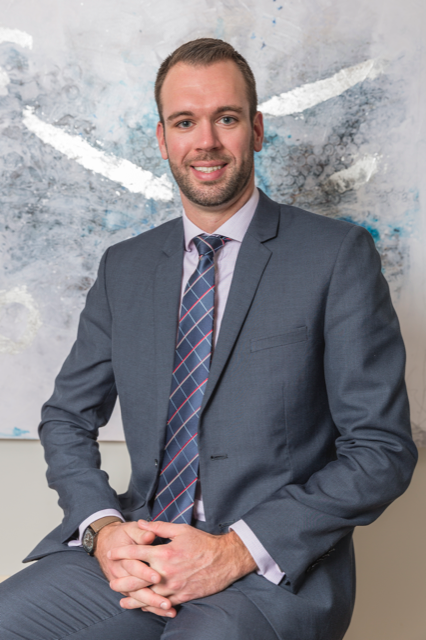 Jeremy is a practicing member of: The Law Society of PEI, and a member of the Atlantic Provinces Trial Lawyers Association (APTLA) and the ADR Institute Atlantic. He is also a co-instructor (with PLM) of the PEI Bar Admission ADR Course. PLM Law provides specialized legal services in personal injury and disability, employment and labour law, human rights and alternative dispute resolution in Prince Edward Island and across Canada. We bring a breadth of professional knowledge and over twenty-five years of experience to every case. Being wrapped up in legal battles and insurance claims can be stressful. That’s why we are committed to getting your best possible outcome quickly and efficiently.